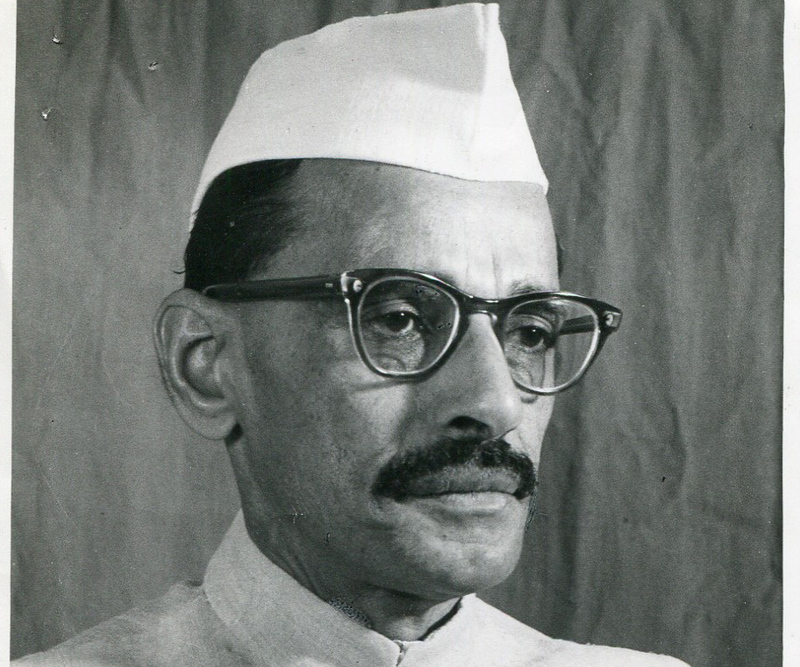 Gulzarilal Nanda (4 July 1898  15 January 1998) was an Indian politician and economist who specialized in labour issues. He was the Prime Minister of India for two short periods following the deaths of Jawaharlal Nehru in 1964 and Lal Bahadur Shastri in 1966. Both his terms ended after the ruling Indian National Congress‘s parliamentary party elected a new prime minister. He was awarded the Bharat Ratna, India’s highest civilian award, in 1997. Nanda was born on 4 July 1898 in Sialkot in the Punjab Province of British India into a Punjabi Hindu family. (After the partition of British India into India and Pakistan in 1947, Sialkot became a part of the Punjab Province of Pakistan.) Nanda received his education in Lahore, Amritsar, Agra, and Allahabad.. …. Nanda worked as a research scholar on labour problems at Allahabad University (19201921), and became a Professor of Economics at National College in Bombay (Mumbai) in 1921. The same year, he joined the Indian Non-Cooperation Movement against the British Raj. In 1922, he became secretary of the Ahmedabad Textile Labour Association where he worked until 1946. He was imprisoned for Satyagraha in 1932, and again from 1942 to 1944.. He was honored with “Proud Past Alumni” in the list of 42 members, from “Allahabad University Alumni Association”, NCR, Ghaziabad (Greater Noida) Chapter 2007-2008 registered under society act 1860 with registration no. 407/2000. In the British Raj, Nanda was elected to the Bombay Legislative Assembly in 1937, and served as parliamentary secretary (for Labor and Excise) to the Government of Bombay from 1937 to 1939. As Labour Minister of the Bombay Government during 194650, he successfully piloted the Labor Disputes Bill in the state assembly. He served as a Trustee of the Kasturba Memorial Trust. (Kasturba was the wife of Mahatma Gandhi.) He served as secretary of the Hindustan Mazdoor Sevak Sangh (Indian Labor Welfare Organization), and Chairman of the Bombay Housing Board. He was a member of the National Planning Committee. He was largely instrumental in organising the Indian National Trade Union Congress, and later became its president. Nanda was re-elected to the Lok Sabha in the 1962 elections from the Sabarkantha constituency in Gujarat. He initiated the Congress Forum for Socialist Action in 1962. He was Union Minister for Labour and Employment during 1962  1963, and Minister for Home Affairs during 1963  1966. Nanda was the Prime Minister of India twice for thirteen days each: the first time after the death of Prime Minister Jawaharlal Nehru in 1964, and the second time after the death of Prime Minister Lal Bahadur Shastri in 1966. Both his terms were uneventful, yet they came at sensitive times because of the potential danger to the country following Nehru’s death soon after a war with China in 1962 and Shastri’s death after a war with Pakistan in 1965. Nanda died on 15 January 1998 at the age of 99.